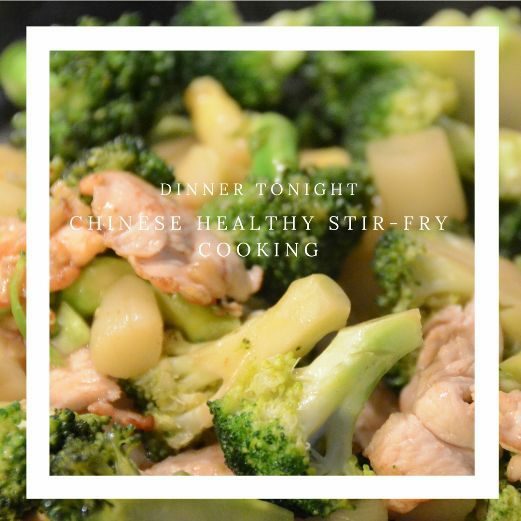 A request from TinYee for “What’s for dinner?”, how about a quick stir-fry tender chicken with broccoli florets flashing out of the wok onto a plate. Let’s not forget to write down the Chicken Broccoli easy stir-fry recipe and post it please :-). If you’re cooking for a family or friends this is a healthy and tasty dish to serve on the table. Chinese stir-frying and Asian cooking is all about setting up for flash cooking. 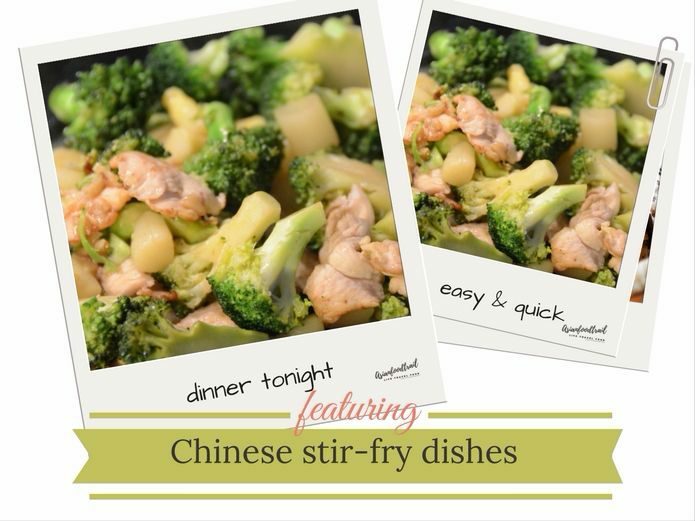 Quick, easy and economic no leftovers of ingredients, whether you cook Chicken Broccoli easy stir-fry for 4 persons or make 4 meals ahead for your weekly meal plan. Start with the preparation, cutting up the ingredients in bite-size pieces. 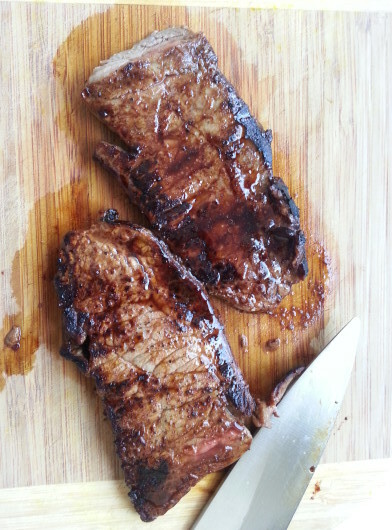 Season the thinly sliced meat quickly set aside. blanch the vegetables and quickly into an ice-bath. Have all other seasoning bottles and jars ready to grab and heat up the wok. Cut up broccoli florets or other vegetables in equal bite-size pieces. Blanch the vegetables, short and quickly into an ice-bath. This will stop the cooking process. Have all other seasoning bottles and jars ready to grab and heat up the wok. Check the fridge if other ingrediënts can be chopped into the dish too. 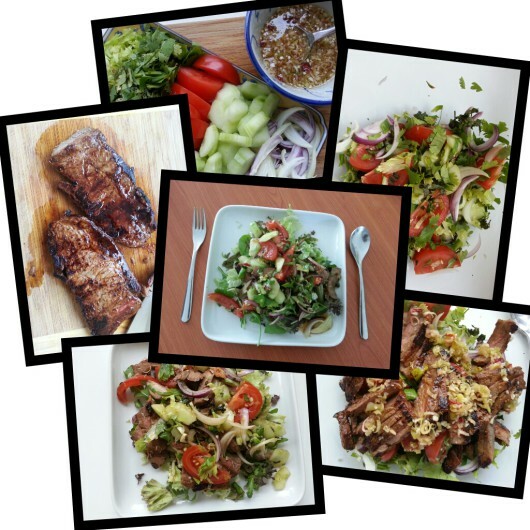 This help clearing and finishing into a colourful and healthy cooked meal. When stir-frying always add the hardest/toughest ingredients first and soft ingredients last into the wok. Another Chinese stir-fry recipe is Flat beans with ground pork and bean sauce or try seafood suggestion Thai Red Curry Mussels Recipe. 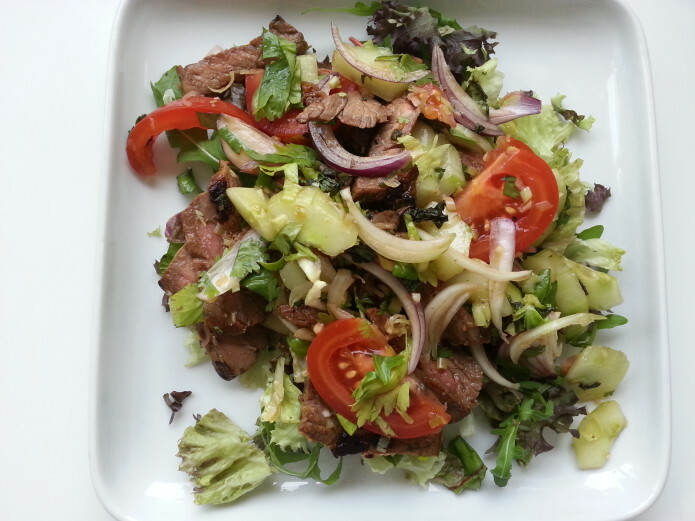 This recipe is suitable to adapt for Keto, Paleo and diabetes diet. fish sauce (made from fermented fish/seafood although it is different it tastes as good). If there are none dietary restriction I often use both in cooking. home-cook experiment, make your own instead. Will follow up soon with a discovery post. Olive oil use light, extra virgin is too heavy and will carry an after taste. Sesame oil is only used for flavouring at the end, not intended for stir-frying, it burns too quickly and becomes bitter. Coconut oil is mostly used in Keto and Paleo cooking. Okara, when I make fresh soy milk the leftover soybean pulp is called Okara. Very nutritious and versatile to make pancakes or burgers. You can also buy a large variety mock soy meat packages at Chinese supermarkets. Instead of meat, you can also substitute with fish fillets too. Coat the pieces in corn flour and fry them first, take out, continue with the recipe and add when almost done. Cornstarch is what I standard use, next tapioca starch and tapioca flour or arrowroot. Mushroom sauce (vegetarian) and oyster sauce are both used as extra flavour seasonings or omit.